The same firebox as the Barwon pedestal. 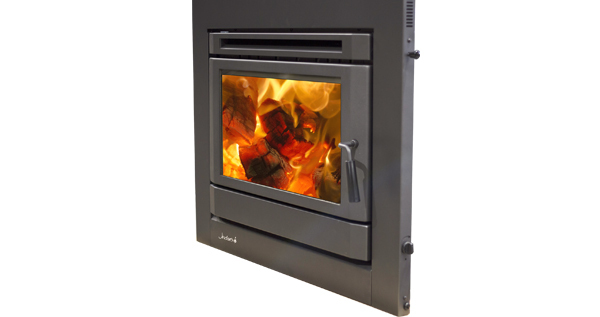 This contemporary looking heater is designed to heat 280 sq metres. With a deep ash bed burn chamber and an enormous door opening, this heater is easy to load and operate. An essential addition to a large family home. **To achieve a minimum hearth depth of 400mm, unit must be raised by minimum 129mm.